Graduation season is upon us! Below is a comprehensive listing of all Denair Unified School District graduation ceremonies. None of the events require tickets for entry. The Denair Charter Academy 8th Grade promotion ceremony will take place on Tuesday, May 27, 2014, at 6:00 pm, in the Denair Middle School Coyote Center. Doors open at 5:30 pm. Denair Charter Academy will be will be presenting the Class of 2014 on Wednesday, May 28, 2014, at 7:30 pm, at Jack Lytton Stadium. Gates open at 7:00 pm. 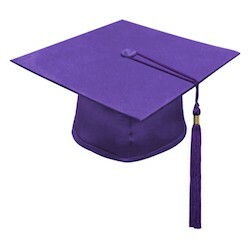 The Denair Middle School 8th Grade graduation will take place on Thursday, May 29, 2014, at 7:00 pm, at Jack Lytton Stadium. Gates open at 6:00 pm. Denair High School will be presenting the Class of 2014 on Friday, May 30, 2014, at 7:30 pm, at Jack Lytton Stadium. Gates open at 6:00 pm. Posted in News and tagged Denair Charter Academy, Denair High School, Denair Middle School, DUSD, graduation.